Published 1949 (est.) by Bell Features. Only one staple (manufacturing). Two center wraps detached. Canadian edition. Blackhawk destroys a war-mad munitions magnate! 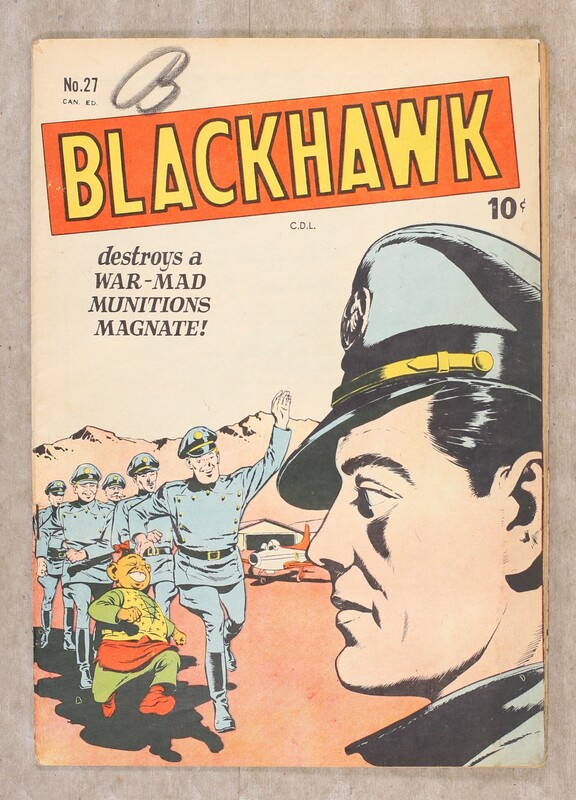 Featuring: 11 page Blackhawk story "The Plot To Conquer Posnia" drawn by Bill Quackenbush (? ); 8 page Chop Chop story "North To Alaska" drawn by Bill Ward; 1 page text story "The Destroyer Strikes"; 11 page Blackhawk story "The Winged Death Demons" drawn by Bill Quackenbush (? 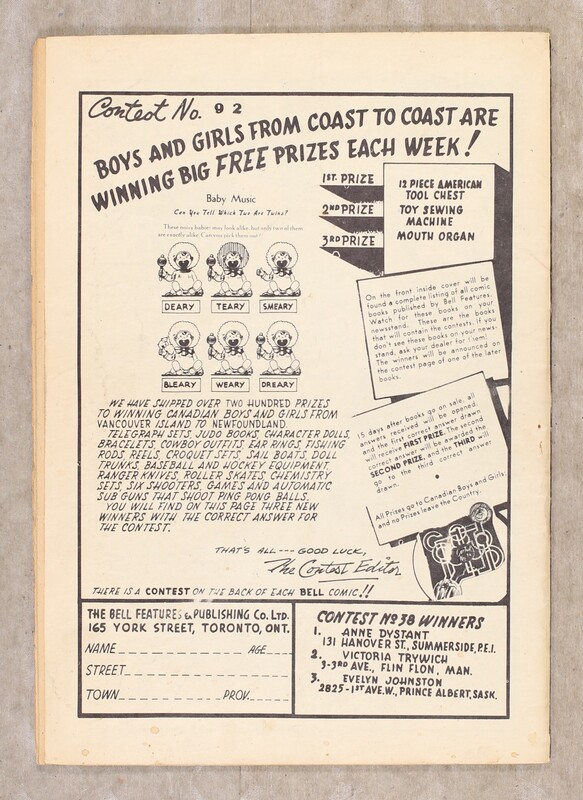 ); 1 page Wun Cloo story "Truth And/Or Consequences" by Jack Cole. Cover by Reed Crandall. Cover price $0.10.